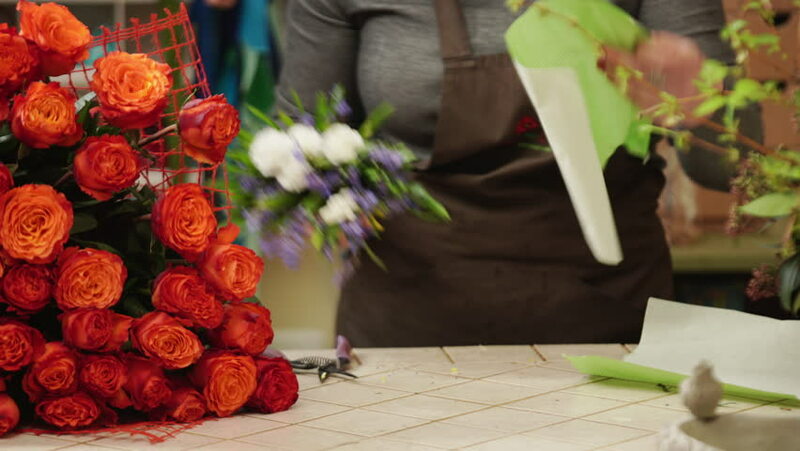 Florist in own flower shop, preparing bouquets. hd00:16Male artist paint Red rose flowers painting in the studio. Creative process.